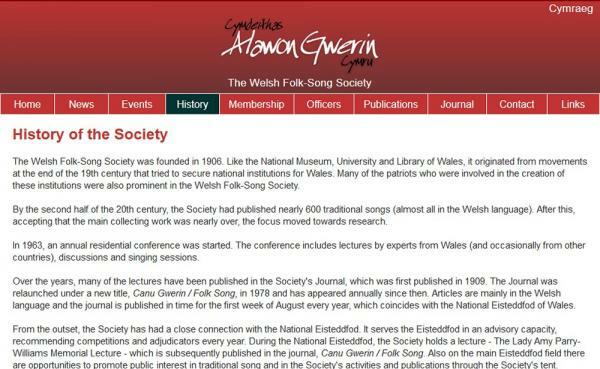 Website to advertise the activities of the Welsh Folk-Song Society, which was founded in 1906 to collect, preserve, interpret and make known the folk-songs of Wales, to publish examples and to promote research on the literary and musical background of the songs, as well as fostering interest in folk song and folk literature in general. 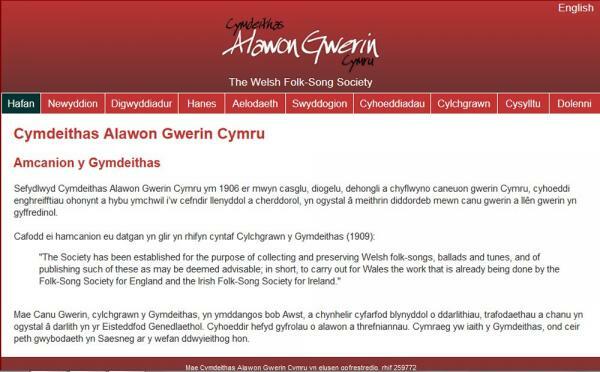 The site is entirely bi-lingual. Technical features: echnical features:]PHP and MySQL. 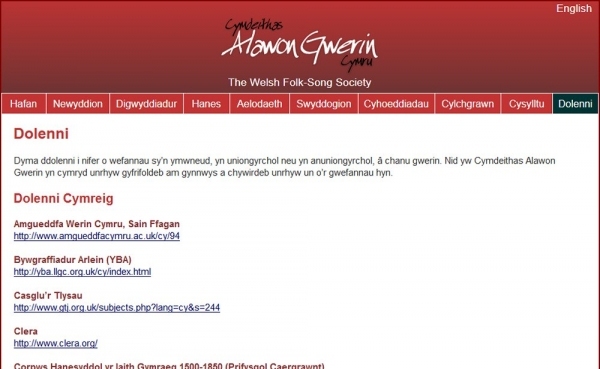 The site uses the Technoleg Taliesin content management tools to allow the client update the site themselves. 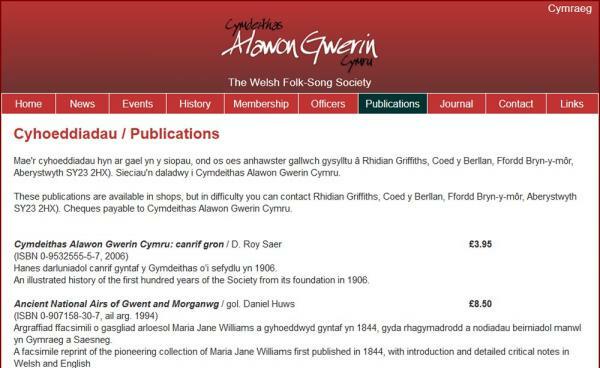 The site includes news and events functions and aims also to include a digital archive of its journals in the near future.